HotS Special Report - Convert to Raid presents: Lords of the Stormcast 2.0! #218 - Convert to Raid: All the Games, Combine! #213 - Convert to Raid: Gala, Gala, Gala, Galifianakis! #109 - Convert to Raid: The Siege of Ion Hazzikostas! #108 - Convert to Raid: Anduin for Warchief... with Derevka! #107 - Convert to Raid: We're Down with PvP... with Olivia Grace! #106 - Convert to Raid: All Sha'd Up! #105 - Convert to Raid: The World is Ending... with Affinitii! 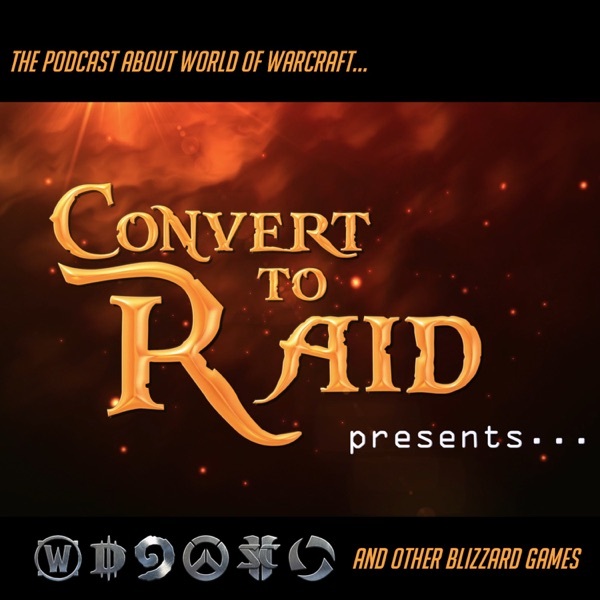 #104 - Convert to Raid: Bazooba-WHOA! #100 - Convert to Raid: Heroic Monkey Trinket!